Sunset at El Himalaya back near the beginning of our Mexican journey. It’s time for the bimonthly cost of being a nomad report for November and December. 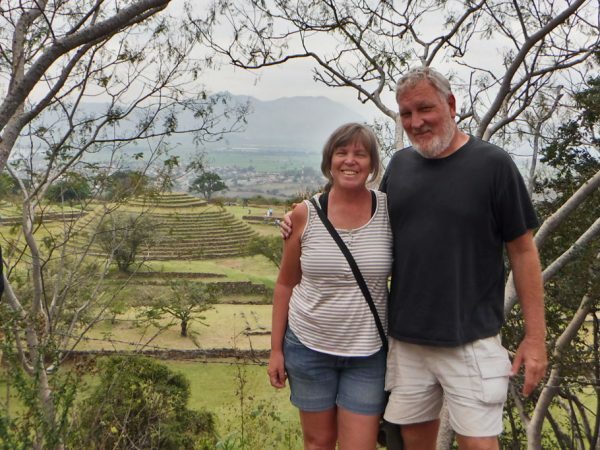 I know it is a little late – it almost being February, but we have been traveling pretty hard and now that we are in Mexico totaling up the numbers is just a tad bit more difficult since we are mostly spending pesos and not dollars. 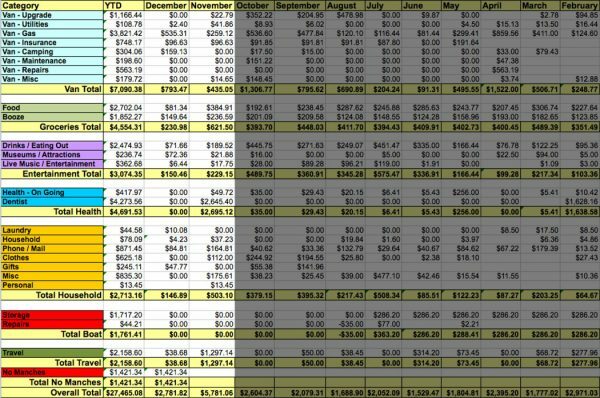 In order to get an accurate picture of what we are spending I have converted those pesos back into dollars for this spreadsheet — but because we are getting pesos at a different rate each time we buy them and I want to be ultra-accurate this process is a bit time-consuming. All expenses are in US dollars. Click to enlarge this spreadsheet. These numbers aren’t pretty and I am terribly sad to say that the totals for these two months are more than half of what another nomad blogger friend spent all of last year! (See their numbers here) So what’s the deal? Let’s look at some of the totals and see. It is not hard to find bulk water in Mexico and it is super cheap, 89¢ for 16 gallons here at Jimmy’s Purificadora de Auga. Here we include expenses for things like water, propane for our stove and heater, and expenses for maintaining and using our composting toilet. As far as utilities go – van utilities don’t add up to much. Novembers numbers were mostly all about getting us ready to go to Mexico. We filled up on propane and stocked up on some supplies for our composting toilet I thought we might have a hard time finding in Mexico – including 2 mil compactor bags for our composting waste and three bags of wood shavings we use as cover material for that same waste. November’s gas numbers reflect a lot of driving around Tucson as we prepared for our journey south of the border and a short trip to California to visit Greg’s Dentist in Los Algodones. In December we drove from Northern Sonora in Mexico all the way to Mexico City. I find it very surprising that our December numbers are about the same as our numbers from October when we drove most of the way across the US considering gas is almost twice as much in Mexico as it is in the States. Only $4.95 to camp here at Bosque de la Primavera. 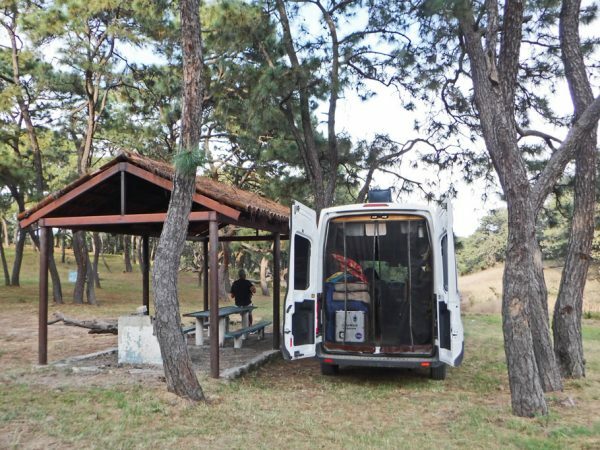 There is not the same type of free camping in Mexico as the US. In the US there is so much public land that is readily available and perfectly sanctioned to camp on. Not so in Mexico. Free camping here happens mostly on beaches or in town squares. Sometimes free camping works out and sometimes you get asked by the cops to move on. It hurts to pay for camping – especially when the amenities are slim (no or cold showers, not very scenic, toilets without seats) and the cost can be more than I would pay for some pay campgrounds in the States. 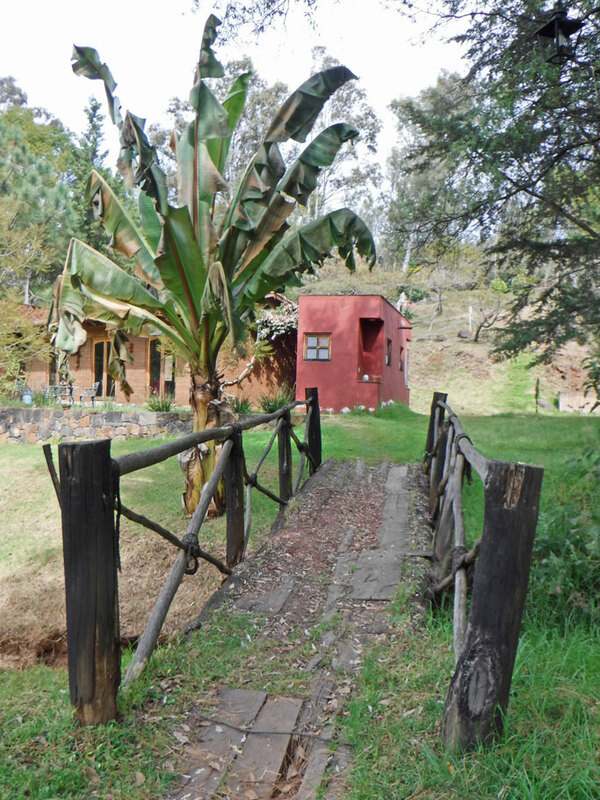 But we have found some nice low-cost places to stay and except for gas most everything else here is much cheaper than the US – so it is just a bit of a trade-off. 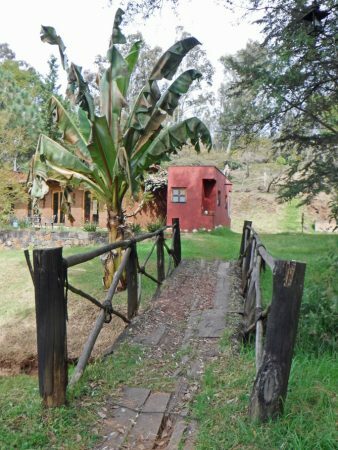 The campground in Pátzcuaro ran $12.88 per night. It came with hot showers (when the hot water heater was working). We walked across this little bridge to get to the bath house. This is food and alcohol we buy a grocery or liquor store as opposed to in a restaurant. No, we weren’t on a food and drink binge in November, we were stocking up. There are all kinds of foods one can’t get in Mexico and I didn’t want to run out of any of my favorites. I still have a nice cache of Trader Joe’s salsa. Salsa you say? But you are in Mexico, it isn’t the place overrun with different kinds of salsas? Yes, but honestly I find them to be watery, tasteless, or just too hot. We also stocked up on cheddar cheese. Yep, cheddar is really hard to find in Mexico and the cheese that is available is usually pretty dull tasting. I still have jars of kalamata olives and banana peppers. I ran out of canned garbanzo beans (I suspect I am the only one who makes falafel in Mexico) but was just now able to find some cans today. But now I am afraid that I am going to run out of the mini-chocolate chips I use to make my granola bars. I thought everyone made chocolate chip cookies – apparently not. Our first meal out was at a vegetarian restaurant in Guadalajara. All this food for the two of us plus tip was $5.93 US. We did a little eating and drinking out with friends while we were in Tucson. Usually while on the road in the US our entertainment costs are pretty low as we use our National Parks pass for the majority of our fun outings and mostly cook all our meals in the van. But although we don’t have a parks pass here in Mexico, museums, ruin sites, parks, and eating out are really cheap. The Frida Kahlo museum in Mexico City is probably the most expensive place we have visited (about 4 or 5 times as expensive as any place else) and still, that was only $25 for the two of us. This lunch in Pátzcuaro with Jules and Jeff cost a bit more, $10.90 for the two of us. 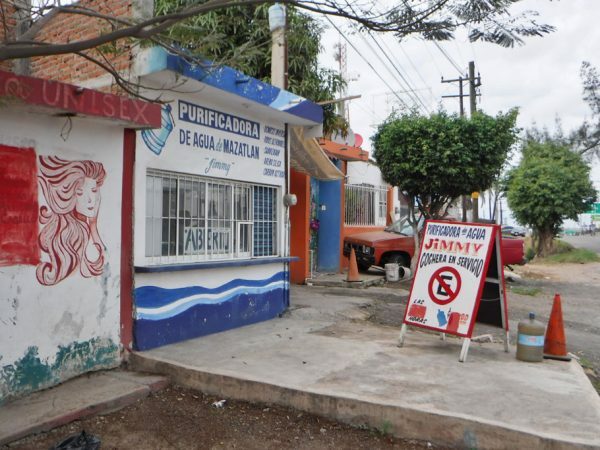 Greg visited the dentist in Los Algodones, Baja California Mexico again for more dental work. He had 1 attempted root canal that turned out to be an extraction, 1 filling, 3 root canals, and 4 porcelain crowns. He can now chew with both sides of his mouth and I can include salads on our dinner menus again. These are the same kind of household expenses that you might have even if you didn’t live in a van or on a boat. Like toilet paper, clothes, personal items, laundry, and phone/data plan. November’s numbers include our phone plan with Google Fi ($64.81) and our mailbox plan ($100) with St. Brendan’s Isle where we receive our mail. Because we are residents of Florida every time there is a hurricane in Florida (at least once a year) Google discounts our phone plan by $20. Since we are on the road our phone plan will probably remain high since we are using it as our main source of internet. But we have been very happy with the service so far on our travels and have had as much internet as we need with no worries. November was all about gearing up for Mexico. We really hadn’t replaced a lot of our clothes since our sailing days and needed some warmer clothing for the highlands of Mexico. We also spent money on kitchen tools, new pillows, towels, flannel sheets, a backpack, rechargeable batteries, and an external phone battery (which we have used a lot when out for a whole day in a city like Guadalajara). In December we spent $10.08 on laundry and $47.77 on gifts for family members. 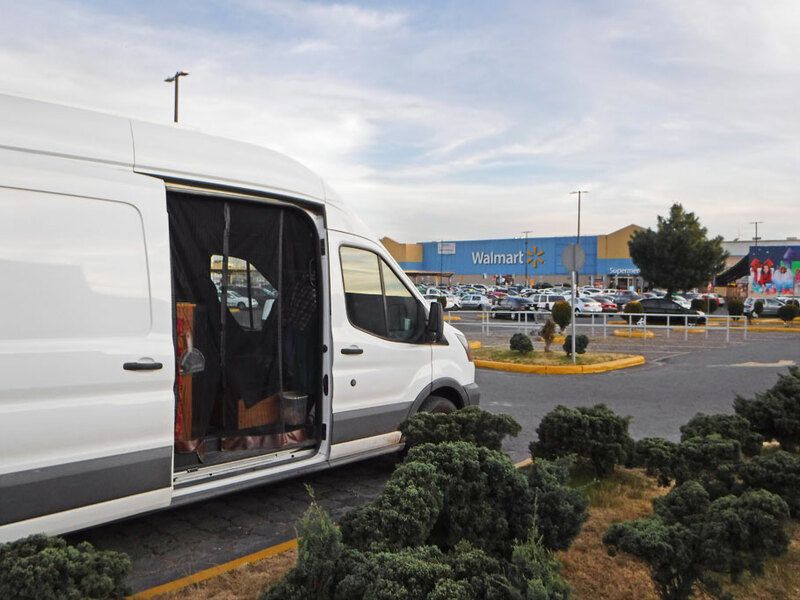 Who would have thought we’d find ourselves camping in a Walmart in Mexico? This Walmart, unlike in the US was in a pay parking lot. After much bridging of the language barrier we received permission from Walmart security to spend the night here. This was our last stop before we drove into Mexico City. November expenses include, among other things, car insurance to go to Mexico, $483.59, The cost of our Airbnb in Mexico City for two weeks, $280.27, and the cost of temporarily importing our vehicle (TIP) into Mexico, $465.93. We are supposed to get our TIP refunded when we leave the country but until that happens (in case there are problems with that happening) I won’t adjust November’s report. December’s numbers are for tolls. Mexico is criss-crossed with toll roads. These roads are usually nicely maintained and like US interstate highways they allow you to avoid traveling through small towns. We try to avoid these costs but sometimes taking the toll road cuts down on our miles and time and once you balance that against the cost of gas the toll might even come out cheaper. See my notes below for saving money on tolls. I have added a new category to our monthly report, No Manches. We were told by a tour guide in Guadalajara that “No Manches!” means “Oh My God!” in English. Our new No Manches category includes things like getting ripped off by a gas station attendant for roughly $24 and the cost to repair our computer at roughly $1400! I hate to say it but just like in the US there are people here in Mexico that want to steal from others. Foreign money can be confusing and we have learned to be more aware of how much we are giving people and how much we get back. Hopefully, the No Manches category will remain empty from here on out. Duwan and Greg at the ruins at Guachimontones. We thought the entrance fee was more but when we showed up on a Sunday it was only 60 pesos ($2.97 US) for the both of us. Many museums have a free day. Sundays tend to be free days at ruin sites run by the INAH – sometimes this is only for Mexican Nationals but sometimes everyone gets in free. It is nice to save a few dollars, but this also means that the sites are extra busy. We have a couple internet resources that help us calculate expenses on toll roads (Cuotas). Traza Tu Ruta is government website for calculating toll costs. You select where you are starting and where you are ending and you will get a list of toll booths and costs. We also use a phone app called TollGuru. TollGuru will give you a choice between the fastest and cheapest routes and will also calculate gas costs. I also use Google Maps to locate toll booths by searching for “Caseta de Cobro.” I mark all the toll booths along our intended route then identify which ones are easily avoided. There are lots different opinions on the value of avoiding the tolls. When you drive the non-toll roads (Libres) you get to see more small towns which are almost always interesting but often times white-knuckle-difficult to navigate. But once you’ve had this experience a half dozen times the smooth ride of the Cuota starts to look even better. So what do you think? Do you track your expenses? How does this compare to your sticks and bricks expenses or your traveling expenses? Are our expenses less or more than you would have expected? This entry was posted in Cost of Nomading, Nomading and tagged Cost of Nomading, Cost of Van LIfe, Expenses, Traveling in Mexico, Van Expenses. Bookmark the permalink. Thanks Bruce! I’m glad you find it useful. I will try to get a link on the site to a spreadsheet today or tomorrow. Very interesting and valuable information, especially the Mexican part. Without the dentist and the computer costs, you guys did pretty well! The van category is decent and even the fuel category with all the driving doesn’t seem to be too crazy. Thanks for the shout-out, by the way. 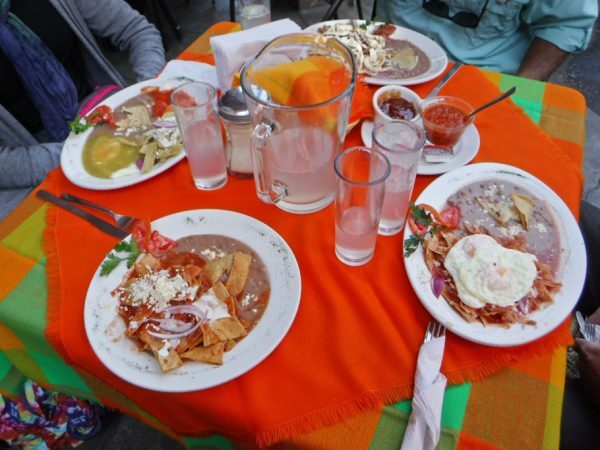 I think we’d spend more money in Mexico than in the US, because we would be so tempted to eat out. In general, it looks like travel in Mexico would even out with travel in the US between the cheaper food and the more expensive gas. I’m still a bit hung up about the permits and insurance to dip into Baja this spring. You guys prepared really well for your Mexico trip. I was thinking of just driving over the border south of San Diego and see what happens (after dealing with the insurance and permit). 🙂 At this point, I think we’re heading to Arizona in February and see what happens next. Luckily eating out can be super cheap in Mexico. 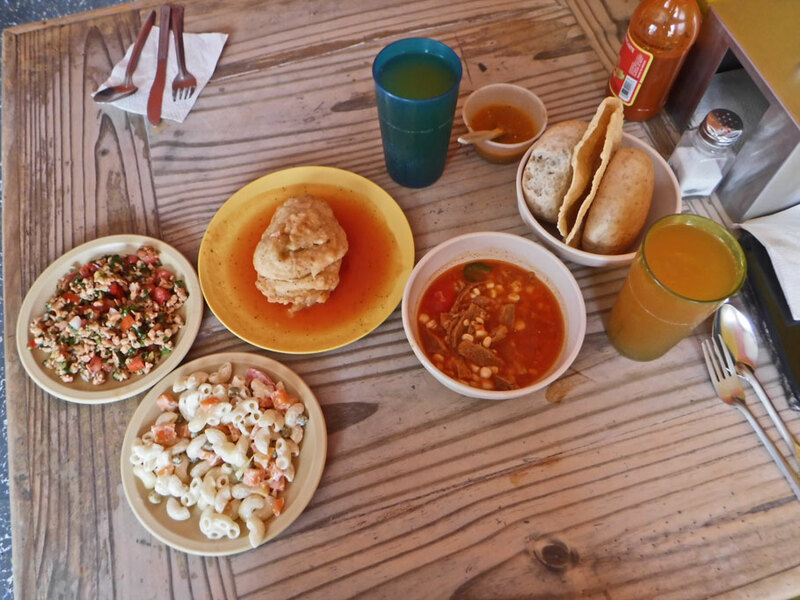 For 3 days in a row while Greg and I were in Malinalco We had a $1.50 lunch out (that’s both of us for $1.50!). January’s numbers are going to be much better – no No Manches or visits to the dentist. 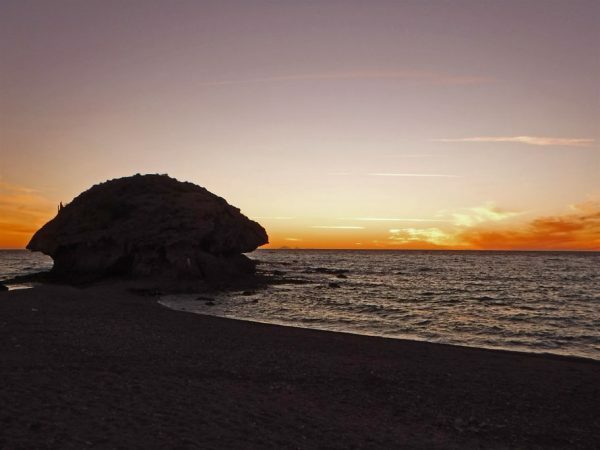 You don’t need a TIP to go to Baja or parts of Sonora – just a tourist permit which is inexpensive. Have fun in Arizona! We will probably be there again in April.